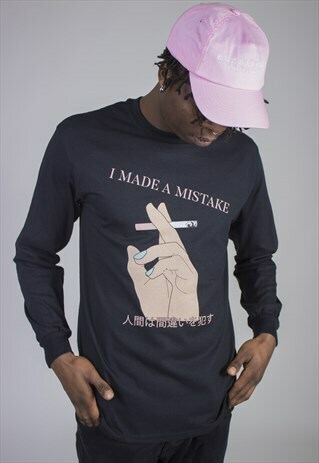 Cotton long sleeve t-shirt in black with a digitally drawn 'smoking hands' print and 'I Made a Mistake' slogan and Japanese translation. Unisex. Mistakes are meant to be made, it's how you handle it after to make amends that can define your character.